Tibetan singing bowls are used to create healing energy which can unblock the chakras, and they are excellent meditation gongs. We are a major stockist of singing bowls, hand-selected by us for sound quality. We keep a large number of singing bowls in stock, although we can only show a few examples here. Viewing at our premises is welcome by appointment. We also sell a number of bowls by playing them over the phone or by Skype demonstration. 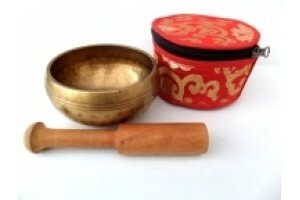 For FAQ's on Tibetan Singing bowls click here. 9.0 cm diameter Blue five metal singing bowl. In b..
Price £29.50. 10cm diameter x 5cm high. This ..
Price £33.00. 10cm diameter x 5cm high. This ..
10 cm diameter Plain Cast brass singing bowl with ..
11.5 cm Diameter x 4.5 cm Singing Bowl with a rais..
Price £40. 12 cm diameter etched Thado singing bow..
Lotus Meditation Singing bowl. 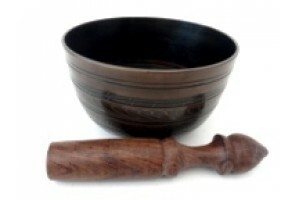 £17.00 plus p&p..
9.0 cm Diameter "Zen Thado" singing bowl. Black bo..